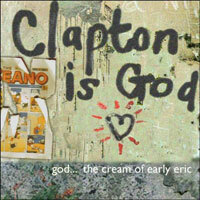 For any fans of the blues or British R&B, Clapton Is God, a two-disc collection of Eric Clapton’s early work, looks well worth checking out. It covers most of the man’s early career, with disc one covering both live and studio work with The Yardbirds, as well as his work backing blues legend Sonny Boy Wiliamson. Disc two follows that up with some session tracks, the pick of his work with John Mayall’s Bluesbreakers and some tracks with Jimmy Page and The Immediate All-Stars. 40 tracks, retailing for around £12. It hits the shelves on 17th September.